You probably already know that yoga enhances relaxation, builds strength and improves flexibility. What you might not realize, though, is that simply engaging in deep breathing and gentle yoga poses aids in the weight loss process. An intense aerobic workout burns way more calories than a gentle yoga session, but that doesn’t mean that yoga won’t help you reach your weight loss goals. In fact, studies have shown that adults who regularly practice yoga tend to lose weight and they’re less likely to gain weight. So, if yoga doesn’t burn a lot of calories, how exactly does it provide these benefits? Yoga improves your overall physical and mental well-being. Yoga practitioners are less stressed and learn more effective stress management techniques. This results in a reduced likelihood of “stress eating.” Yoga also leads to increased body awareness, and practitioners become more in tune with the feelings of hunger and satiety. Mindfulness and mindful eating are also more common among yoga practitioners. Because gentle stretching improves flexibility and decreases pain for many adults, yoga aids in the ability to participate in more strenuous physical activities. It also builds strength and muscle, and muscle consumes fat as fuel. There are many types of yoga, and some are more intense than others. More intense workouts, of course, burn more calories. 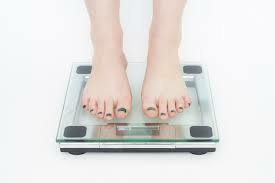 However, even people who engage in the gentlest forms of yoga have reported weight loss and managed to keep weight off for extended periods of time. If you’re looking for something to help you on your weight loss journey, yoga may be the answer. Whether practiced on its own or in conjunction with diet and exercise, yoga is a powerful tool that will help you improve your overall health and wellness. To learn more about yoga in Littleton, contact Club USA Fitness today by calling 303-979-7772.